The University broke ground in November for a new home for the College of Business. 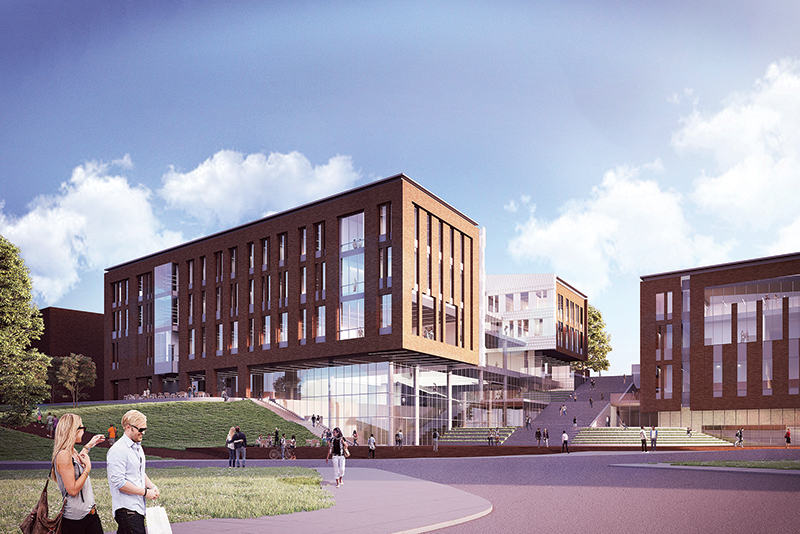 It will be one of the biggest academic building projects in University history. The 176,000-square-foot building is expected to be ready for occupancy in January of 2020. It will nearly double Clemson’s business education space for one of the University’s fastest-growing academic disciplines. It will also be the anchor of a new academic precinct that one day will occupy as much as 600,000 to 700,000 square feet of building space. LMN Architects of Seattle is designing the building in collaboration with the Greenville office of South Carolina-based LS3P, the architect of record. Other members of the project team include DPR, general contractor/construction management, and OLIN landscape architecture. Construction on the $87.5 million project will be funded through state appropriations, private gifts and institutional bonds.